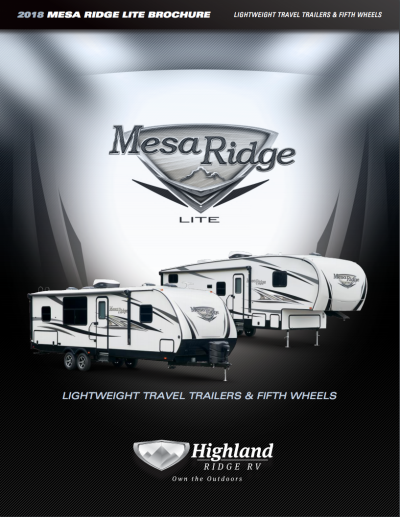 Venture off into the great unknown with the 2019 Highland Ridge Mesa Ridge Lite MR2804RK! There are tons of great amenities inside this dashing Travel Trailer! At National RV Detroit, you'll enjoy great prices and exceptional customer service! That's just a couple of the many reasons why we're one of the top RV dealers in Michigan! Come on down to our site at 44700 N I 94 Service Dr Belleville Michigan 48111 and bring this model home! To talk to our Highland Ridge Mesa Ridge Lite expert, call us now at 734-439-3400! Pull out the 20' 0" awning with absolute ease for shade and protection from rain and UV rays while you're lounging out in the fresh air! This RV was made for long trips, with its hitch weight of 675 lbs. and GVWR of 7675 lbs. You won't have to crouch to walk inside this 10' 11" tall RV! 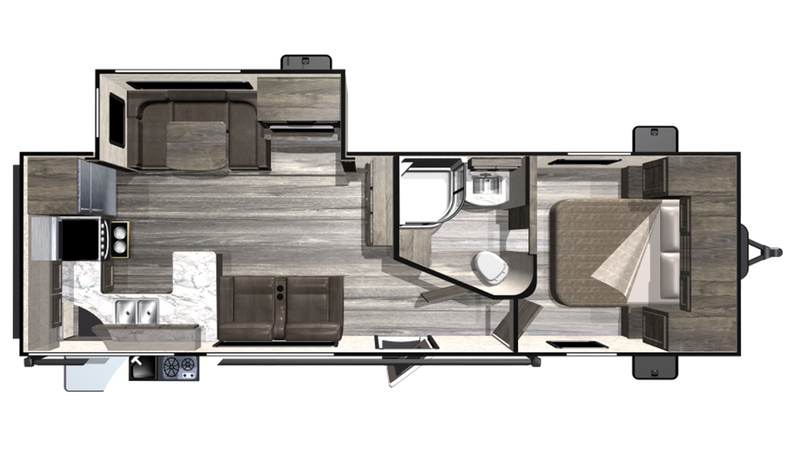 With 1 slides, this 8' 1" wide, 31' 9" long RV is comfortably spacious! Warm up on chilly mornings with the 30000 BTU furnace, then cool down during the sizzling afternoon with the 15000 BTU a/c! With the cozy Queen bed in the bedroom, you won't lose a minute of sleep on the road! And neither will your family, because this RV has comfy sleeping accommodations for up to 4 people! When you're on the road, you don't want to neglect your family's nutrition! And thanks to the super kitchen in this RV with all its modern appliances, you won't have to! Included are a roomy 8.00 cu. ft. refrigerator to store fresh foods and cold drinks, and a 3 burner range cooktop that will let you cook great meals, morning, noon, and night! You'll have enough refreshing, clean water for your family's needs with the massive 51 gallon freshwater tank! You don't need to dirty up your hands with this RV's bathroom, thanks to the Porcelain Foot Flush toilet! The shower has plenty of hot water due to this RV's 60 lbs. of LP tank capacity, and there is a 58 gallon gray water tank and a 29 gallon black water tank. Entertaining outdoors is always fun, especially when you can cook up a delicious meal in the fresh air and sunshine! Thanks to the outdoor kitchen, you'll do that anytime!